The pride and joy of Punjabi cuisine - the mighty Patiala-peg lassi, is probably one of the most loved beverages during the sweltering Indian summer. 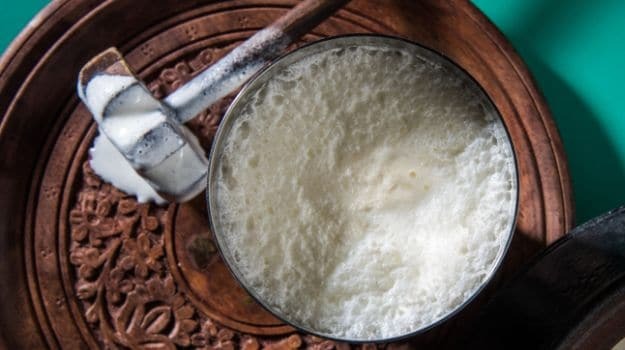 Smooth and creamy, the yoghurt-based refreshment , traditionally served in earthen pots called matkas, has miraculous powers that can cool you instantly, and is probably the reason why even in Ayurveda, it is considered to be a great summer cooler. 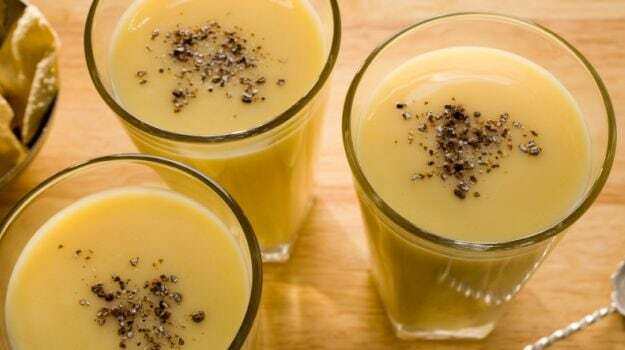 Often touted as the oldest smoothie in the world, it flocks the streets and eateries not just in Northern India, but across the subcontinent during the hot season. A sip of the sweet drink, topped with a generous dollop of clotted cream, is hard to resist, as you indulge till the last drop. Though its origin is credited to Punjab, where milk is an important feature of the diet, variations of the drink are also seen in Rajasthan, Gujarat and the Sindh region of Pakistan. Sweltering summer and a tall glass of lassi always go hand-in-hand. From the mighty Punjabi original to the many variants whipped across the country; no one can ever have the heart to say no to this pan-Indian summer favourite. Let us take a look at the story behind the iconic lassi and what makes it so legendary all across the world! 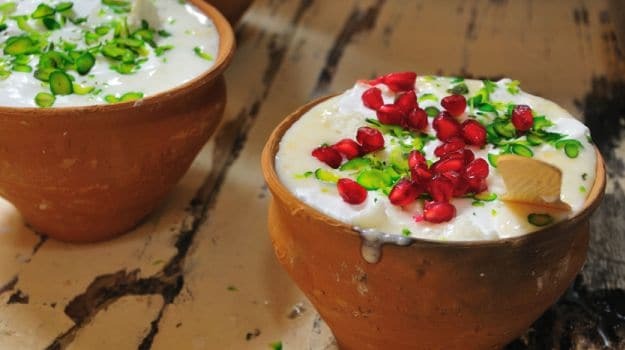 In the olden times, yoghurt was commonly stored in earthen pots and kept cool, which was later stirred with water and sugar to make a refreshing glass of lassi. In most households in the North, it is still a common fixture during lunch, wherein it is relished in tall brassware glasses. While the sweet lassi garners more attention, the salty variant has its own fan following too. Shake up yoghurt and water along with a pinch of rock salt, fresh mint leaves and even spices like cumin seeds and it’s a winner. As for those who like to experiment, there are endless ingredients - fruits, spices and herbs - that you can add to the classic lassi to give it a delicious makeover. The mango lassi, undoubtedly, is the most cherished summer combo, but you can also play around with avocado, banana, papaya, berries, and even chocolate to lend in some richness. If you want to spice things up a little, open your kitchen cabinet and add in black salt, chaat masala, red chilli powder, garam masala, kesar, cinnamon or cardamom, along with fresh herbs like coriander, mint, or even basil. For vegans too, just get your hands on soy yoghurt and have fun this summer by shaking up a refreshing glass of lassi with your favourite flavour boosters. Why should you miss out? 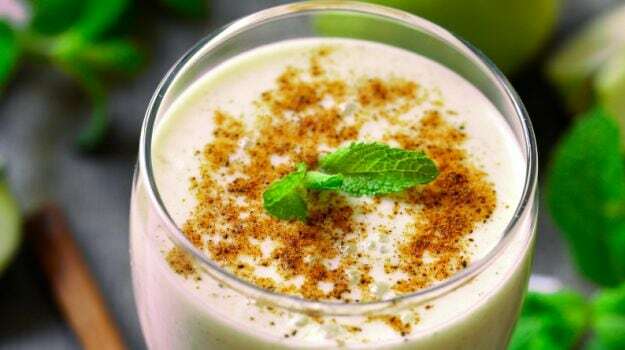 Here are our five best lassi recipes that are guaranteed to become your favourite coolers this season. 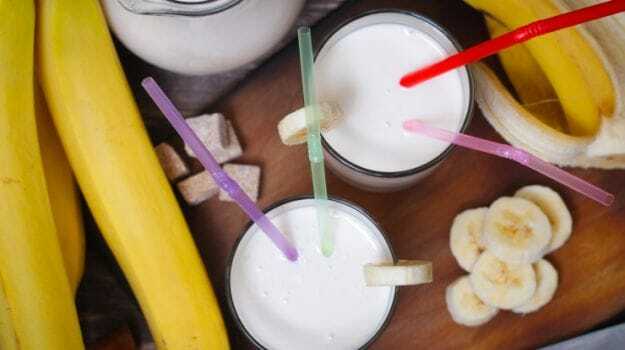 Ridiculously simple to shake up, go on, and drink up! Nothing like a chilled glass of lassi to cool down on a hot summer day! This classic recipe is ridiculously easy to stir up at home. For the recipe, click here. This popular summer cooler gets a lift with refreshing mint adding in some zing. For the recipe, click here. 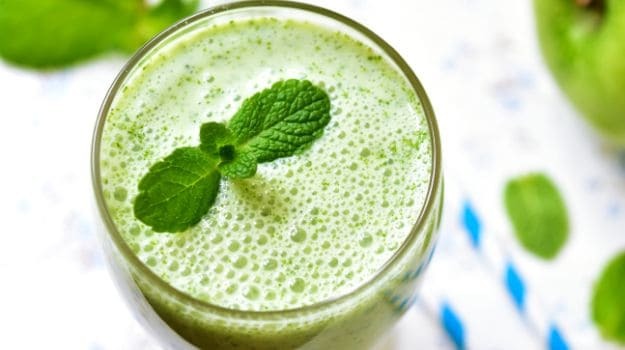 The lassi gets smoother and creamier with avocado or butter fruit blending deliciously into it. This recipe is sure to be a hit! For the recipe, click here. 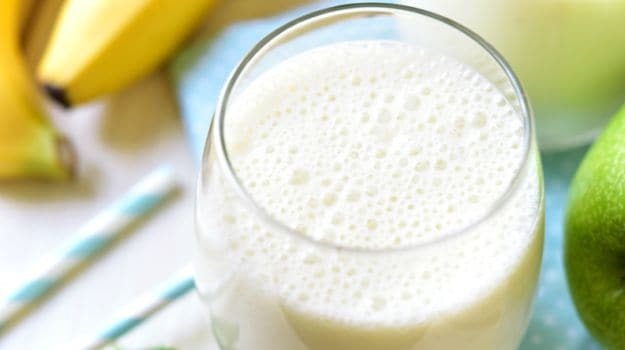 Give the classic lassi a nutrition boost with this fitting recipe which uses the goodness of banana and walnuts. For the recipe, click here. CommentsA flavourful take on the good old lassi - creamy yoghurt and pulpy mango mixed in with loads of ice. For the recipe, click here.